The continent’s biggest track and field event will be taking place in one of its smallest countries as Costa Rica gets set to host the North American, Central American and Caribbean (NACAC) Championships from Aug. 7-9 at the National Stadium in San José. The regional championships are slated to bring together 600 athletes from 30 countries across the region in Olympic-style track competitions, ranging from distance races to shot put. The president of the Costa Rican Track and Field Federation, Geen Clarke, said in a statement Wednesday that the federation has been working closely with the Costa Rican Institute of Sports and Recreation (ICODER) and the International Association of Athletics Federations (IAAF) to make sure the international event runs smoothly. Carolina Mauri, the sports minister, said large-scale athletic events like the NACAC championships allow Costa Rica’s youth to show off their talents, while also falling in line with President Luis Guillermo Solis’ development goals for the nation’s young athletes. “The Solís administration is dedicated to directly promoting sports that help us in larger objectives like quality of life, employment, poverty reduction, and well-being,” she said. 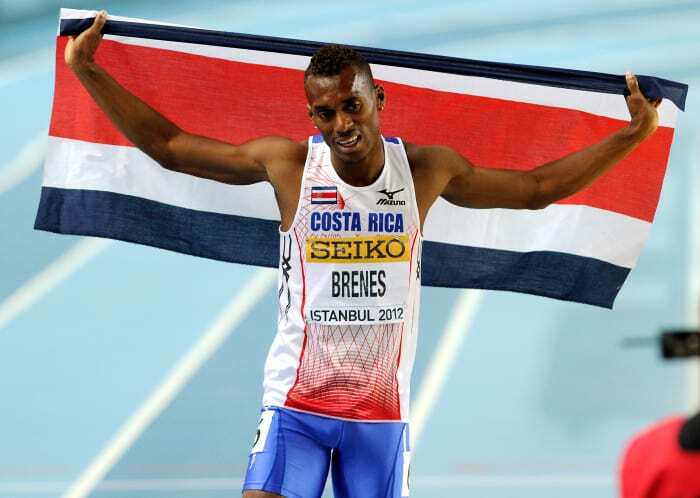 Costa Rica’s group of 24 athletes is headlined by Nery Brenes, the 29-year-old sprinter from Limón who competed in the 2008 Beijing Olympics, and Roberto Sawyers, who holds the Central American record in the hammer throw. This is only the second version of the NACAC Championships, as the last event was held in El Salvador in 2007. The United States, which is sending 115 athletes, took home the most hardware at the first competition when it garnered 43 medals in all, including 28 gold medals. Repairs costing around $50,000 have been made to the track at the Chinese-built National Stadium in preparation for the event, according to the track and field federation.